Sweet sounds at a super discount — count us in. All music lovers rejoice: we've collected ten incredible speakers and headphones you won't need to break the bank on, and won't need to wait in massive Black Friday lines for. Best of all, you can still enjoy the same unreal Black Friday discounts — so go ahead, turn the volume up, let the music play and drown out the sound of all your relatives asking you deeply embarrassing questions in front of your friends. Plus, use the code BFRIDAY20 for an extra 20% off the sale prices listed! Bringing a revamped model to the best-selling Pro model, these FRESHeBUDS Ultra Earbuds boast better drivers, speaker cones, microphone, a stronger magnet and longer battery life. Best of all, they're still water and sweat resistant and automatically pair with your phone when pulled apart. Buy now: Get these high-quality buds for $49.99, or 66% off the usual price of $149.99. 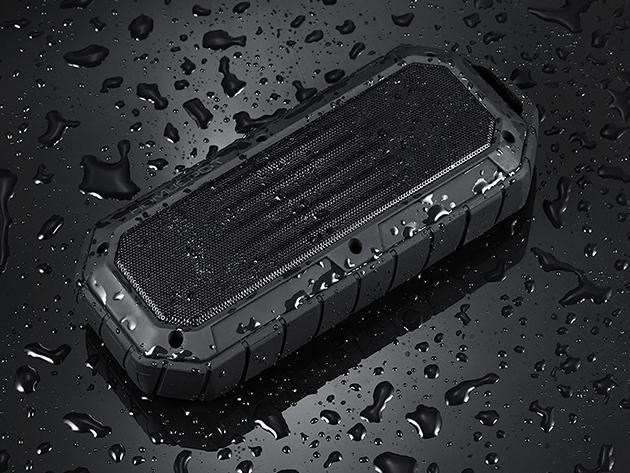 If you're looking for a Bluetooth speaker that can keep up with all your adventures, this HomeSpot Rugged Waterproof Bluetooth Speaker deflects dust, dirt, and water and is coated with a rubberized surface. That means its impact-resistant enough that you can take your tunes with you without worry (and it's shockproof too). Buy now: Get this rugged speaker for $29.99, or 62% off the usual price of $79.99. These lightweight HBQ i7 Twins True Wireless Earphones aren't just extremely comfortable — they use Bluetooth 4.2 to deliver high-quality, lag-free connections. Plus the high-performance battery lasts for four to five hours of playtime, meaning you'll want to leave them in all day long. 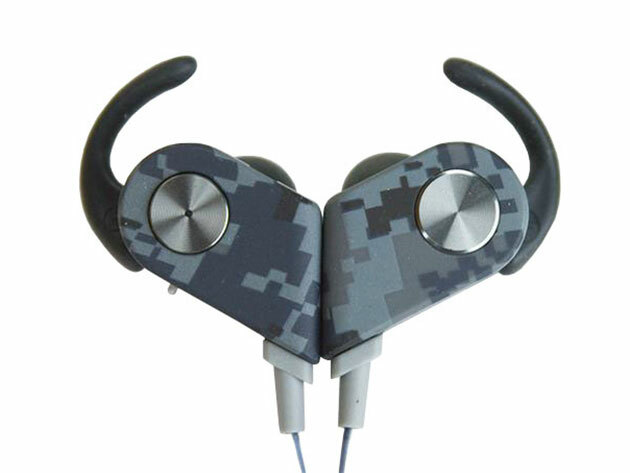 Buy now: These hands-free buds are $29.99, or 40% off the usual price of $49.99. 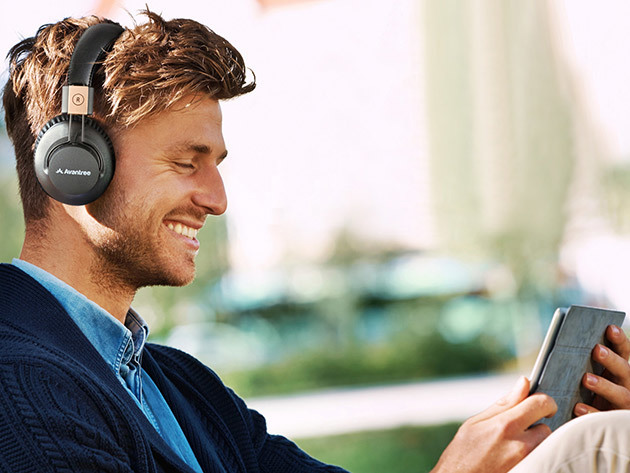 You don't always need to be blasting music through your headphones: these Avantree AptX Low Latency Bluetooth Headphones are perfect for everything from watching movies to taking calls. The crisp treble, deep bass and superb clarity combined with lag-free superior aptX audio technology mean you get a perfect listening experience, every time. Buy now: Get these high-quality headphones for $69.99, reduced from $99.99. 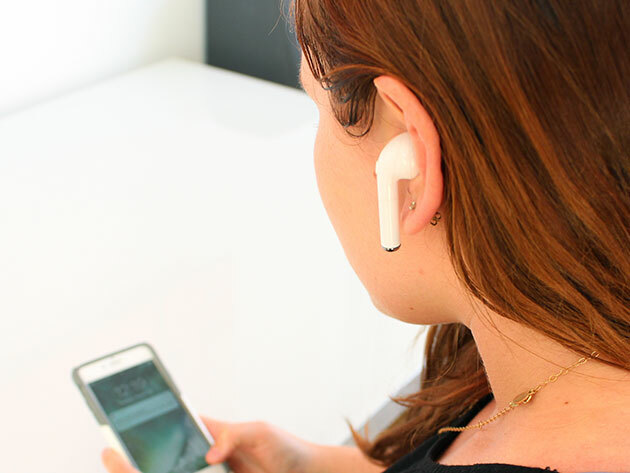 Move around freely with these 1Voice Bluetooth 100% Wirefree Earbuds — they're free of any cord, so you can move around unfettered, whether you're working out or just trying to find those papers in the office on your weekly conference call. They fit snugly in your ear without falling out, plus you can play them for four hours without stopping. Buy now: Get these wire-free buds for $32, or 73% off the usual price of $119. Want to go a step above wireless? 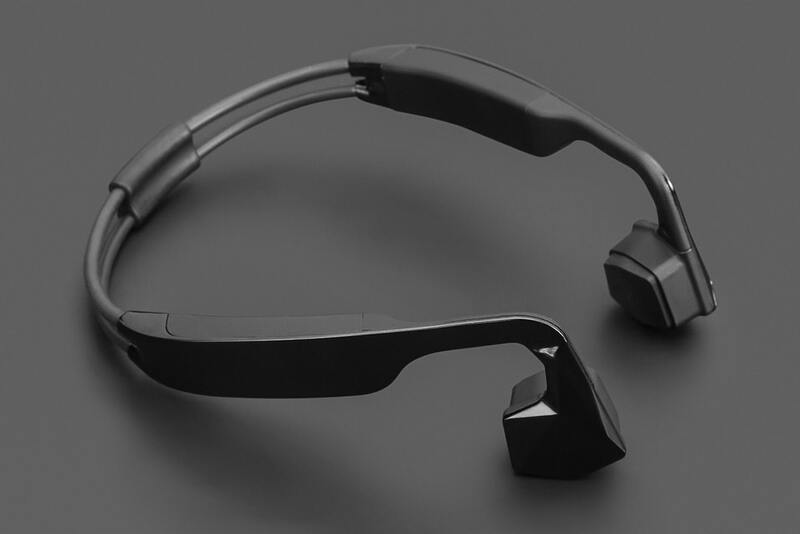 Check out these ALL-Terrain Bone Conduction Bluetooth Headphones: they're a set of rugged, water-resistant headphones that utilize innovative bone conduction technology to bypass your eardrum, feeding sound directly into your inner ear through vibration. They sit in front of your ears, so you stay tuned into the world around you — while still enjoying your favorite tunes. 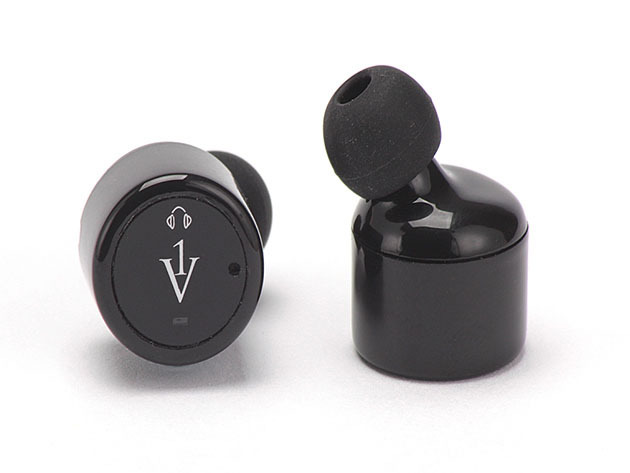 Buy now: Get these innovative earphones for $60, or 59% off the usual price of $149.95. 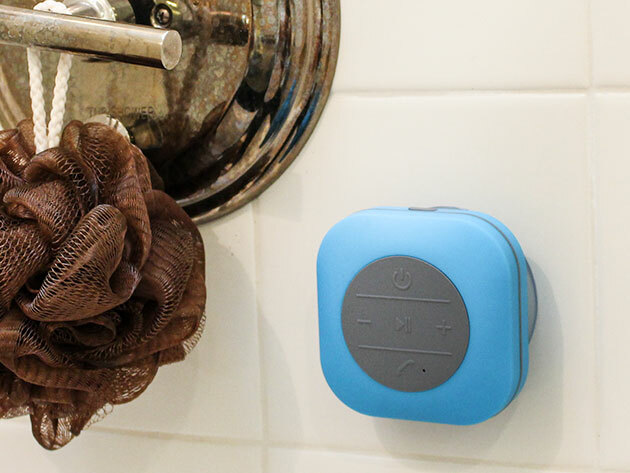 Sometimes bigger really is better: this XXL Shower Speaker has an upgraded audio chipset that pumps out 3 watts of sound while making and receiving crystal clear calls — plus it's twice the size and power of the standard shower speaker. It even includes a newly enlarged battery that only needs to be charged once a month. Buy now: Get this XL speaker for $19.99, reduced from the original price of $39.99, or 80% off the usual price of $99.99. 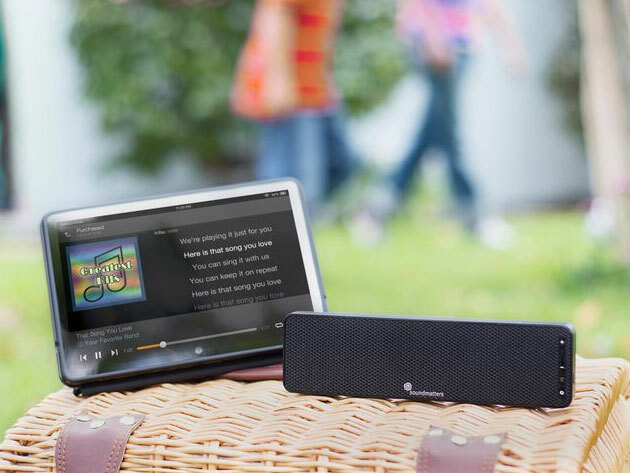 Think of the DASH A: World's Flattest Portable Speaker with an incredibly slim, ultra powerful sound bar – it delivers ten hours of flawless playback on each charge and emits every subtle auditory detail. Take it with you anywhere, whether you want to watch a picnic outdoors or host a shindig inside. Buy now: Get this sleek speaker for $59.99, or 69% off the usual price of $199. Kick your workouts (even the winter ones) into high gear with these TREBLAB XR500 Wireless Sports Earbuds. They fit securely in your ears, deliver nine hours of sound, and help you get into the zone without distractions thanks to passive noise cancellation and true HD sound. Buy now: Get these sports-ready buds for $36.99, or 79% off the usual price of $179.99. 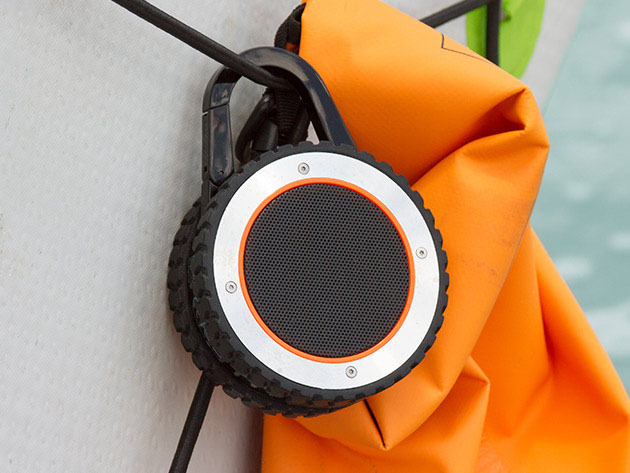 You can do anything with this All-Terrain Sound: The World's Most Experienced Speaker – clip it to your bike as you hit the road or slip it in your bag as you hit the slopes, and you get 14 hours of incredible playback time. You can even drop it more than ten feet onto concrete and it'll survive (really). Buy now: Get this durable, portable speaker for $29.99, or 49% off the usual price of $59.95. Don't forget: use the code BFRIDAY20 for an extra 20% off the sale prices listed!